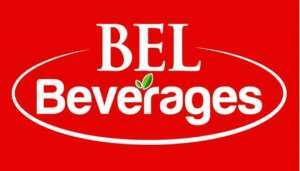 Bel Beverages Ghana Limited, producers of soft drinks, has joined the list of sponsors for the 2019 Kwahu Easter Mountain Marathon (KEMM). The 2019 KEMM will take place on Saturday, April 20, 2019, from Nkawkaw to Abene. The soft drinks producers would provide refreshment for over 1,000 athletes, volunteers, media and another workforce that would see the successful organization of the event. Bel Beverages, which has under its range of products such as Bel Malt, Pukka, Appela, Squeeze among other refreshing drinks, becomes an official beverage sponsor of the 42.2-kilometre event. The 2019 Kwahu Easter Mountain Marathon (KEMM), would commence at Nkawkaw (Atibie Amanfrom Goil Filling Station) through Obomeng, Mpraeso, Bepong, back to Mpraeso, Nkwatia, Abetifi, with the finishing point at the Kwahuhene Palace at Abene. Mr Edward Boahen, Projector Coordinator of the Marathon, said, over 1,000 athletes including some Kenyans are expected to participate in the marathon, that gradually becomes an international brand. The 2019 KEMM, already has GOIL, StarTimes, Mobisoko and Asempa Fm as official sponsors.